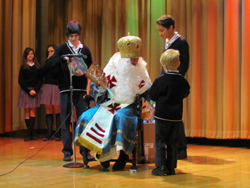 On Monday December 6, Saint Nicholas paid a visit to Assumption School. 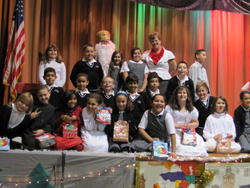 He brought with him some gifts for the students. 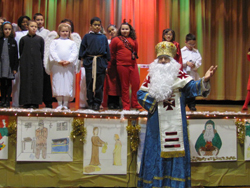 Everyone was grateful to see St. Nicholas and greeted him with the traditional Hymn to St. Nicholas. 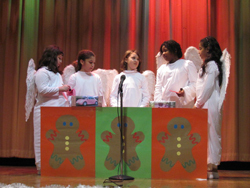 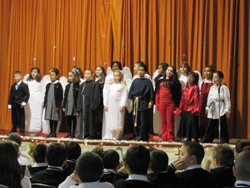 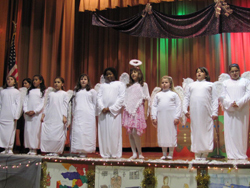 During the visit, the Drama Junior and Glee Club (under the direction of Mrs. Lawrence) have performed a special play about the life of St. Nicholas for the entire school.